Japanese fashion retailer launches three new styles of tees worldwide. 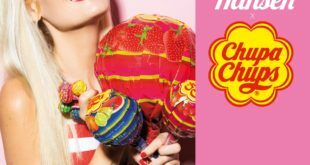 Uniqlo is continuing its collaboration with lollipop brand Chupa Chups, with a raft of activity happening across its stores. 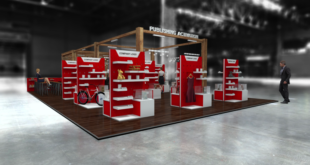 The brand – which is celebrating its 55th anniversary this year – is handled in the UK by Fluid World. The firm partnered with Uniqlo to organise a special bank holiday weekend across its ten UK stores. Chupa Chups competition and sampling stations were set up in-store as part of the ‘Happy Easter Chupa Chups Event’. 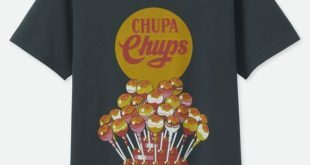 Chupa Chups t-shirts were at the centre of the activity, which included creative in-store displays in all ten stores, while the Oxford Street, London outlet had a dedlcated full window. A ‘Grab and Win’ competition took place, with customers having to grab as many lollipops as possible to win limited edition Chupa Chups artwork and wheels of Chupa Chups lollipops. 180,000 Chupa Chups lollipops were presented as the new Easter eggs, as part of a design-led visual merchandising inspired by the logo, which was designed by Salvador Dali. Licensee Art You Grew Up With supplied artwork taken from the Chupa Chups archive which added another dimension to the in-store displays and window, forming art installations in-store. 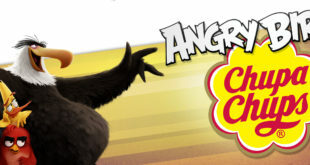 Uniqlo cutomers were also offered a ten per cent discount code enabling them to purchase Chupa Chups artwork. Meanwhile, over in Tokyo, a Uniqlo pop up store was built in the tracks at Shibuya station. "We are thrilled to continue our collaboration with Uniqlo, as we feel our brand values match perfectly to create exciting offers for our customers," said Christine Cool, senior licensing brand manager at Chupa Chups. Louise McKeown, retail and marketing manager at Fluid World, added: "Chupa Chups motto of ‘life less serious’ was perfectly positioned within this fashion lifestyle retailer at the peak trading period across Easter."